There was not a cloud in the sky when Christine and Ryan got married on a beautiful June day! Independence Grove in Libertyville provided the most incredible backdrop for the ceremony and reception. 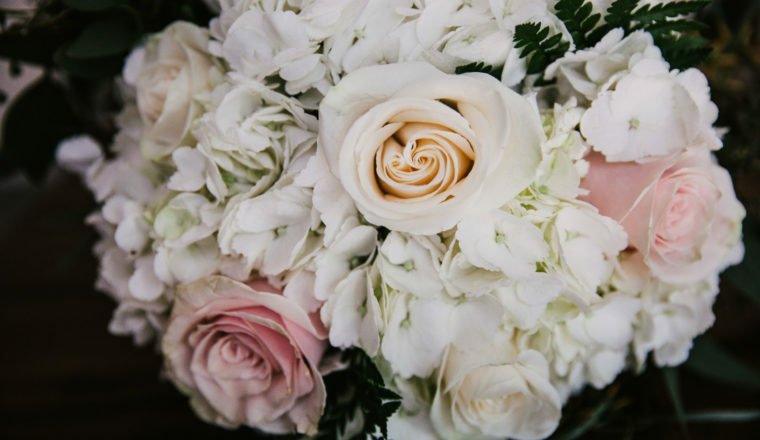 Christine’s gardeny bouquet featured blush and ivory roses, light pink spray roses, white lisianthus, dusty miller, seeded eucalyptus and fern. The bouquet was then wrapped with lace from Christine’s mom bridal gown! The three adorable flower girls all had flower crowns with pink roses and babies breath! Every floral detail of this wedding was taken care of….from the garland at on the welcome sign, to the arrangements on the seating charts and the flowers decorating the cake. The centerpieces were lanterns with a lush wreath of roses, poms and lots of greenery. They fit the décor of Independence Grove perfectly! Thank you to Melissa Marie Photography for the amazing images!